Cell signaling is the biological process by which cells communicate with one another to receive and process signals necessary to respond to changes in the environment. 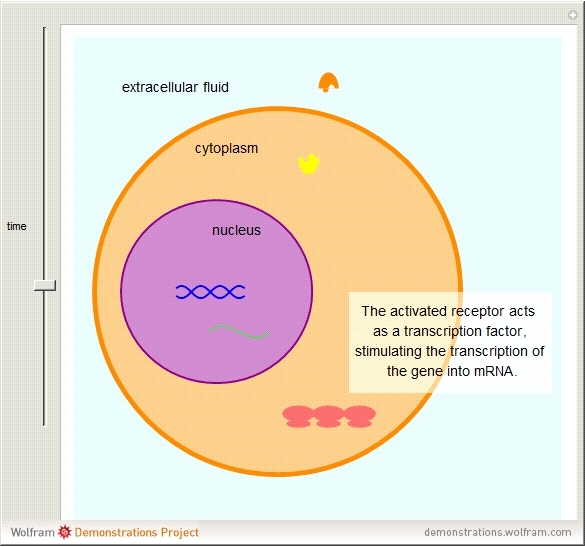 There are three phases to cell signaling: reception, transduction, response. 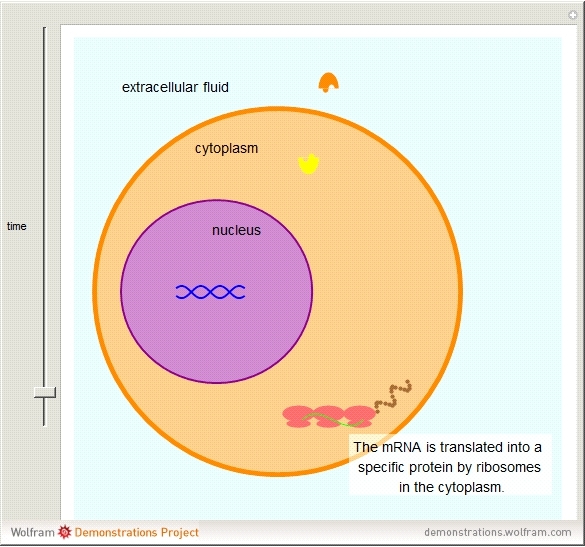 In this Demonstration, a lipid-soluble hormone binds to an intracellular receptor in the cytoplasm. The hormone-receptor complex activates gene expression, which completes the signal transduction. This was a project for Advanced Topics in Mathematics II, 2018–2019, Torrey Pines High School, San Diego, CA. N. A. Campbell and J. B. Reece, Biology, 7th ed., San Francisco: Pearson Benjamin-Cummings, 2005. 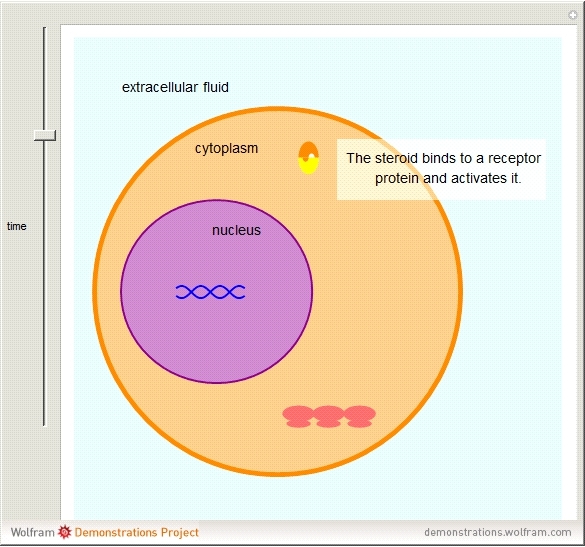 "Cell Signaling by an Intracellular Receptor"